It's well known these two swords are exclusive Constrictor drop. In 3.5 update you did some drop tier changes for Guardians' uniques and maybe messed something up. Check it pls. Did you know kiwi (kiwifruit) are actually berries, and it is a national fruit of China? Also, their name is a big marketing ploy by a major exporter, New Zealand. This is intended as of 3.5. The drop pools were updated so that all Guardian's can drop all Guardian-specific Unique items. I double checked the patch notes and there is no mention about it? Guess you guys forgot to tell us? Does this apply to all Guardian's? 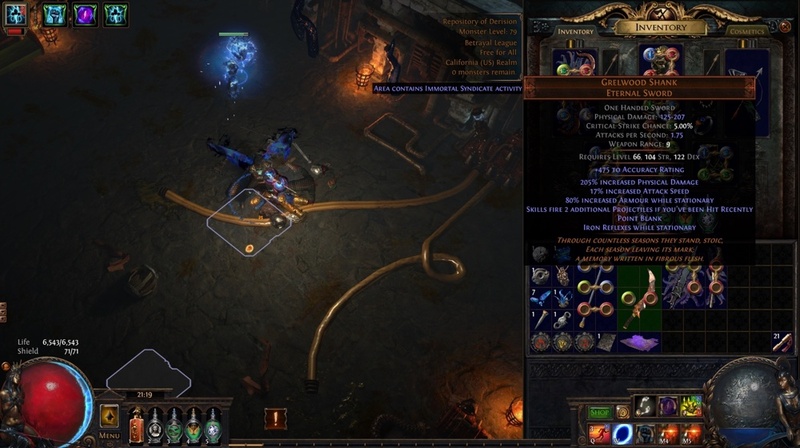 Elder and Shaper? Applies to all Elder Guardians, does not apply to Elder/Shaper. That's probably the case, sorry about that.